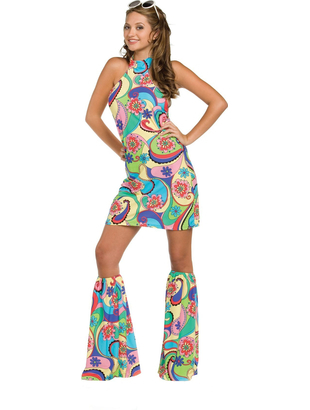 Groove your way back to the 60's in this psychedelic Hippie Costume. Includes the multi-coloured, patterned halter top mini dress with key hole chest design and adjustable velcro closure, plus matching flared leg covers. 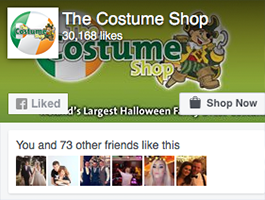 Don't forget to check out our groovy collection of Hippie costume accessories to complete your far out 60's look! Please not sunglasses are not included but similiar glasses may be purchased separately.